This week's reveal of Super Smash Bros. for the Wii U's opening cinematic really got me thinking of how far we've come from the height of video game introduction videos after comparing it to those of its predecessors'. Every time I turned on Super Smash Bros. Melee, or almost any great game from that era for that matter, I was greeted to an exciting cinematic which in reflection got me pumped and even more ready to enjoy my game than I was previous expecting. These videos were a stark reminder of just how incredible the experience you were about to have, welcoming you with an adrenaline rush every time you turned it on. Like all the best children's cartoons, animes, and TV shows, these videos grabbed your attention, possibly even moreso than the incoming game was going to. Upbeat montages, intense high octane action, emotional reflections, or maybe even a simple gameplay demo. Many of the videos provided just enough of a glimpse into the world you were about to enter, but never enough to completely satisfy. After seeing one of these, who could possibly turn to game off and go to another? I think most will agree that this trend of epic openings peaked during the PlayStation days, back when digital space was taking of and Japanese developers were finding new heights of excellence. Not that video games don't have introduction sequences anymore, because they definitely do, but video games are so focused on pushing you into their $60 experiences and microtransactions as quickly as possible that they often go unappreciated. Seriously, when was the last time you let a menu screen just play itself out so you enjoy the movie that would follow? It's been a while, yeah? To understand where this trend came from, you'll first have to dive back into its roots which dig all the way back into the days of old timey arcades. If you are old enough to remember putzing around an 80s or early 90s arcade, you'll know that the games there never just linger on a single title screen with a blinking "Insert Coins" text just waiting to be played. That was no way to catch the attention of browsing customers. You needed something exciting! Something that was going to tempt a person into playing your game rather than jumping over onto a rival company's machine. A familiar song and familiar faces, as seen above, or a brief demonstration of the gameplay they could get for the $.25. If you watched a Killer Instinct arcade play itself out next to a Primal Rage machine, you'll never have to stress about choosing the wrong game. These demos were more than enough to show off the level of quality between the two games. Sometimes, these demonstrations could be even more fun than playing! Who remembers crowding around a Street Fighter II machine, betting on which AI controlled character was going to win? Of course, this trend carried over into the NES, or Famicom in Japan. Originally, this Famicom device was only seen as a gimmicky and cheap contraption that would allow gamers to play their favorite arcade hits from the safety and comfort of their home. Of course, it turned out to be so much more than that after a run of flawless classics took the Famicom to heights that a lot of arcades were simply not capable of. Games like these, such as Mega Man 2 seen above, were left in the hands of visionaries that could see beyond arcade gaming's ultimately crippling goal of getting you to pump quarters and drain our pockets over and over again. These visionaries, like Keiji Inafune, Shigeru Miyamoto, Hironobu Sakaguchi, and Yuji Horii, look 'em up, instead used video games as a means of telling a story, and like any cartoon or movie before them, these needed a solid bit of exposition and a lot of atmosphere to set it up. After all, when it comes to the NES, the customer has already paid their money. There is no need to demonstrate the gameplay over and over again to lure them in, so this revolutionary generation of developers began to really hone in and evolve this usage of time into something better, like this little gem below. You see something like this, you know immediately that you are getting into a color, action filled adventure with bright, cheerful characters. Different scenarios with cavemen and robots point out a time traveling element. The music gets you pumped, the best scenes from the game tease what is going to come, and even the gameplay gets a chance to shine through. Square and Enix, back when they were separate entities, really knew what they were doing and what their audiences wanted to see from their games when creating this masterpiece intro. Chrono Trigger's sequence came at just the right time too because it laid out a blueprint for how to create a perfect hook for the invasion of 3D graphics and the explosion of digital space. You can bet all of your favorite Japanese developers took full advantage of this show-boating, too. And thus we come to the real reason for my little rant, to showoff some of the PlayStation's best and brightest videos. While there is no doubt Squaresoft led the charge for how to properly use CG to create a jaw dropping introduction, my first memory of this usage came from Namco and a little fighting game called Soul Blade. Back before it rebranded itself as SoulCalibur, I accidentally stumbled across this game at a local Microplay in Peachtree City, GA after my parents allowed me to rent a PlayStation for a weekend. Remember when we could rent consoles? I know, right? Woe be unto my parents, we had to go back to the Microplay and return Final Fantasy VII because a tearful Ronnie didn't have the memory card he needed to save his game. What is this? I needed a separate device to save my games now?! The guy behind the desk was understanding of my "Super Nintendo-influenced ignorance" and recommended a fighting game for a weekend of fun, and as a dumb kid, I picked up War Gods. Remember that classic? He swatted it from my hands, sparing me a horrible weekend, and salvaged my first experience with the PlayStation bliss by recommending Soul Blade. I took it home, and what was the first thing I saw? Wow! This introduction sequence has been a favorite of mine ever since. What's not to like? High octane song, an introduction to each character in the game, and a very small exposition about the setup of its premise. While graphically dated and a little corny by today's standards, the gaming world ranted and raved about this sequence. I remember because it was also the first year I started getting into gaming magazines, and I couldn't open an issue without seeing a screenshot from this. Soul Blade now truly does remain "eternally retold" now thanks to the valiant efforts of YouTube preserving this treasure for the rest of time. I'd really like to thank that Microplay employee and buy him a beer some day for introducing me to this game, otherwise I might be singing praises of this mess. Eww…. And yes, Squaresoft was all about the CG too. As gods of the video game world and the most exciting company in the industry following the release of Final Fantasy VII, it almost seemed obsessed with outdoing its standards with each and every game it released. There are handfuls of great game introductions from Squaresoft I could talk about, but I'll just focus on this excellent one above. Parasite Eve was a a game hyped as "the cinematic RPG." Of course, Final Fantasy VII was already pumping out the 3D graphics unlike any other game before it, but deep in its heart, it was still just an RPG. A few high quality cutscenes, pre-rendered backgrounds, and slightly different camera angles on the overhead world couldn't disguise its roots from the older games in the series. At its heart, it was still a Final Fantasy game, which meant that above all else, it was just an RPG. That's where Parasite Eve came into play. This was a game which touted camera angles and the cinematic language of misse en scene back when it was still a new idea for gamers. Not that it is inherently better than the classic RPG style, think of this as Mass Effect to Final Fantasy's Dragon Age, but Parasite Eve burst right alongside Metal Gear Solid and Resident Evil 2 as one of the first games to take that initial step into what we now know in gaming as an "immersive cinematic experience." Of course, the game needed a great introduction to get gamers excited to play it, and that's just what this video does. The music, from the brilliant Yoko Shimomra, sets up an unmistakable blend of action and horror, and you know immediately that this game takes place in winter at the heart of New York City. You know you'll be fighting some kind of disease and mutated animals, and you have a great sense of lady cop Aya Brea, whom you will be spending a lot of time with. And plus, it's just a lot of fun to watch. Squaresoft was just showing off is dominance of Japan's mid 90's digital age by this point. I'm going to cheat a little bit before we change the subject from CG to anime, but I'll keep it short. I was intending to stick to introduction videos you see every time you turn a game on, but Final Fantasy VIII's is only seen when starting a new game. That being said, it is out of this world and far and away the most impressive piece of CG work from the PlayStation era. In fact, I think I might have liked this game more or would have better memories of it if this thing played each time I turned it on. 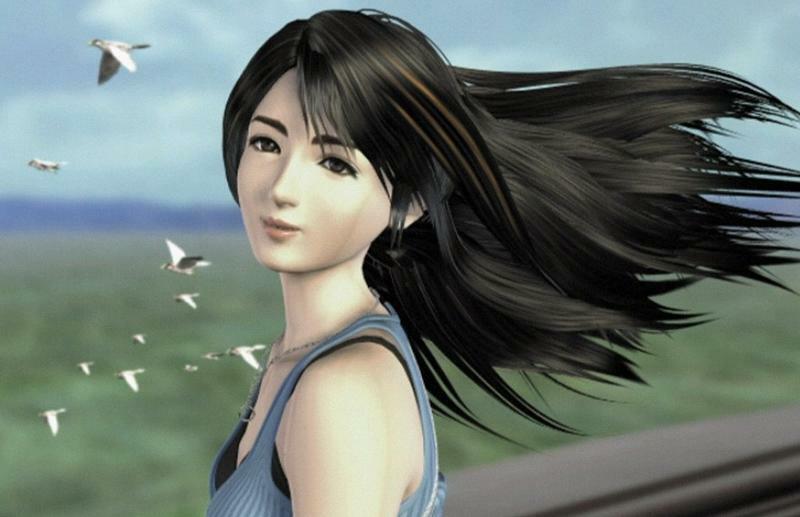 Final Fantasy VIII is not my favorite game, and maybe one reason was because it was missing that burst of familiarity whenever I turned it on. And from that, we move away from CG to another fad which was catching on thanks to the booming memory space on CDs: anime cutscenes. I was never really a fan of these turning up in my sprite based games, like in the Chrono Trigger re-release on PlayStation or Star Ocean 2 PSP re-release, preferring that sprite choreography to do the main chunk of storytelling. However, there's nothing wrong with using it in an introduction video, not by a long shot, especially when the standards were set so high this early in the PlayStation's lifetime. JRPG nerds of this era like myself should probably know where I am going with this one. Wild ARMs was one of the original four JRPGs to hit American shores on the PlayStation before Final Fantasy VII left its imprint, and it's also among the more memorable of the bunch thanks to its gorgeous introduction sequence. There really is nothing to say about it that the video can't say. You really get a sense of the lonely life of our hero Rudy and the long, perilous journey he is about to undertake with these two new strangers in his life. Wild ARMs also provides an example of how strong these videos can make the memory of a game seem. A decade or so after its release, it saw a remake on the PlayStation 2 called Wild ARMs Alter Code F. Although it was praised for "better" gameplay and graphics, many criticized it for its overuse of remixes and replacements inWild ARMs' masterpiece soundtrack. The theme song from the intro was not at all altered in the game's opening sequence, but the visuals were. The result is a far less powerful video, and maybe because of that, a far less memorable game. Another of these brilliant anime introductions from Matrix Software's excellent and unashamed Zelda-clone, Alundra. Our hero is a pointy-eared elf boy who happens to be great with a sword, bow and arrow, and magic as he tours through dungeons looking for keys and treasures to help him conquer a boss fight at the end. Sound familiar? In Japan, gamers were fine with this, and the introduction to that version was far more traditional in a sense that it just showed off the gameplay. To American publisher Working Designs though, it needed an extra kick to set it apart from Nintendo's world-renown franchise. That's where this rockin' music comes into play. You won't find this anywhere in the Japanese version of the game, and it wisely puts all of the game's animated cutscenes at the forefront of the package to give the image that this is something totally different than Ocarina of Time. And just like the intro video, Alundra was a weird relic of the past blended with new ideas. The game: aged gameplay formula running to its maxed potential on new hardware, and the video: a series of gameplay demos spliced between anime cutscenes. Stuck between old and new, this video showed off everything a gamer needed to know about Alundra before they started playing it. Worked like a charm, and Alundra can go toe-to-toe with Zelda any day of the week. Many might not have known that if the intro video didn't catch their attention first. Just one more before I close out to show how this trend didn't always deliver timeless gold. Where else better than Squaresoft taking it one step too far? Vagrant Story is an excellent game, one of incredible complexity and excellent storytelling and atmosphere, but you wouldn't know any of this by watching its intro video. Nothing about this game features a belly-dancing woman dancing in front of flames, and protagonist Ashley Riot doing his silly twirls to the Mortal Kombat-esque industrial music doesn't help either. Just listen to how awkwardly it dissolves into Hitoshi Sakimoto's more classical composition at the title screen. The most I can say about it is that Vagrant Story is all about weapon creation, which does happen a lot in the video. Unlike Parasite Eve and any other game I've mention so far, this one commits the ultimate sin of overselling the game and under-delivering every subsequent playthrough. If I were to blindly turn Vagrant Story on and make my first impressions of the game through this hook, then I think the game might let me down. Either that or it would exceed my expectations because of how overly silly and show-boatish this comes off as. And all the same, it isn't as well regarded or as well remembered as its peers. When touring through the fanbases of these videos, Vagrant Story one doesn't often turn up positively in discussions. Sorry if you are a fan, but I'm having trouble finding anything positive about this video. So where do we go from here? I don't want to sound like these kind of cinematics don't exist anymore because they clearly do, but there was a time in video gaming history when this used to have its own category during the annual video game awards season. Now, even if they are there, we barely even notice. I can point to a few solid reasons. One, the most obvious is that graphics have come a long way since the days of the PlayStation. Each of the videos I have posted featured art or CG that far rivaled the in-game engine you were about to experience, but that is no longer the case with the Unreal Engine 4 or Frostbite 3. Why bother watching an exciting video when you were going to be controlling equally impressive graphics it in the coming minutes? Another is that at the time, digital technology was still brand new. Game designers had all this extra space on these CDs and needed something to do with it all. Why not fill it up with a flashy video that is bound to serve as your main source of marketing as well? Developers nowadays struggle to keep their files sizes in check and data compressed, and as games get closer and closer to becoming annualized, who has the time to develop an interesting video that will barely even be watched by the masses? Finally, and this is something I mention a lot around here, but you'll notice that most of these games are of Japanese origin. Arcade games, the NES, and the height of the PlayStation and PlayStation 2 era were totally dominated by Japan, and that's not the case anymore with the video game world. There is no doubt that the anime culture had laid a hand in the evolution of this trend as most Japanese developers grew up watching their favorite shows, getting that ping of familiarity from their intro sequences every week. Even to this day, the games and videos which try their best to keep the trend alive are all Japanese in origin, Shin Megami Tensei: Persona 4 or Valkyria Chronicles for example. I'm not saying that Western developers don't have great videos because some do, but its a huge difference in mindset from PC RPGs, stooped in using your own imagination thanks to Dungeons & Dragons roots, and the AAA market, constantly adhering to Hollywood trends. The reverence for this quick minute to a minute and a half is noticeably absent from most Western releases, and they are often laden with too much talking or too much exposition, never letting the song, editing, or visuals shine through like an anime does. Times have changed though, and while these introductory cinematics had their time and place at the forefront in video game history, they are now but an after thought. You can argue that video game narratives and immersive atmospheres have evolved enough over the years so that a simple minute long video to get the ball rolling is unnecessary, but that's a sentiment I can't really get behind. Often times, when playing a AAA game, I find myself wondering when the excitement is finally going to begin even after playing for a solid hour or so. Thanks to these videos, the excitement has already started by the time I reach the title screen! I let's not forget to mention that several of the games I've listed often rank pretty high in terms of my all time favorites lists. Maybe its because the games themselves are great, but maybe it's also because I have an easy tick in my brain to remember thank these videos being so deeply engraved. Thinking about modern games, Persona 4 and Valkyria Chronicles both rank very highly up there when compared to others from the last five years as well as Dragon Quest IX, which had a class intro lush with to nice visuals and the series' iconic theme song. Maybe I'm wrong. Maybe it's just the nostalgia talking, and game developers create nothing but the best intro videos these days. However, I have a playlist dedicated to all of my favorite intros, and it dies out somewhere in the late PlayStation 2/early PlayStation 3 era, about the time the shift in power between the West and Japan occurred. I'll close this off with a single video that should act as a message of hope for how easy it can be to bring video game introductions back to their former glory. This is one of the best selling video games of all time, and its intro video is of the absolute highest caliber for getting players pumped and ready to enjoy it. With all the arguments gamers have over HD resolutions, frame rates, and ultra-mega-polygons these days, nobody has yet been able to come up with anything more effective that this one of a kind masterpiece. Seriously folks, it's not that hard. Let's get it done!